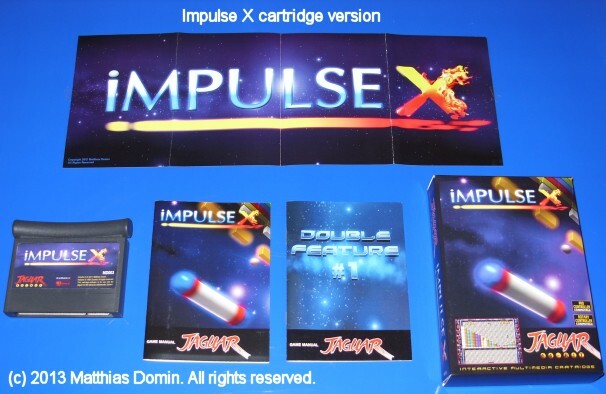 Impulse X is a Breakout-like game, it's a port of Duranik's Impulse for the Atari Falcon. Use the bat to control a ball to clear 40 playfields full of bricks. 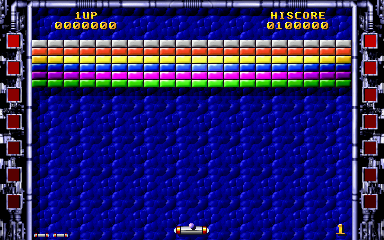 Some bricks release PowerUps when destroyed, but beware of the nasty enemies! 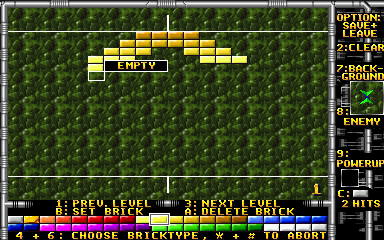 Use the built-in level editor to design your own levels. The level editor offers full mouse support! 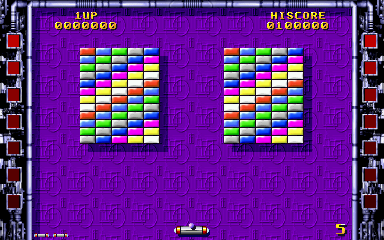 Here is a way how you can exchange your set of selfcreated levels that is stored on MemoryTrack. 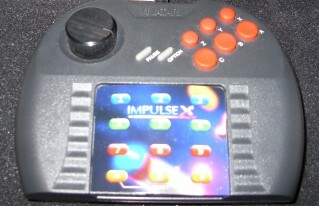 Impulse X was mentioned as one of the best Jaguar homebrews in issue 119 of the british Retro Gamer magazine. 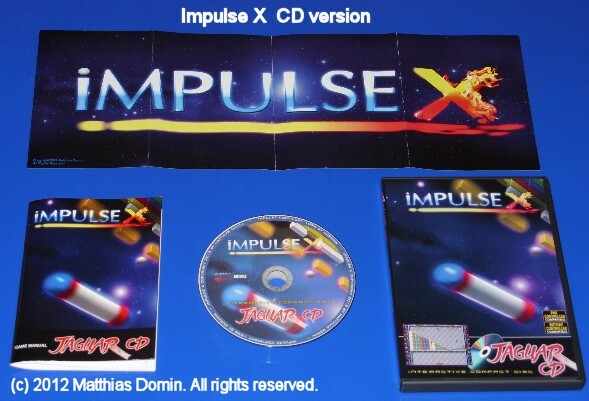 Ordering information for the CD version. 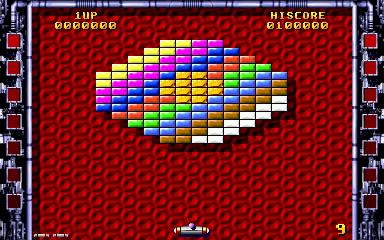 Ordering information for the Cartridge version. Please note: Sold out! the second JPG is prepared for being printed as a 4"*6"-photo at a Photo Printstation.